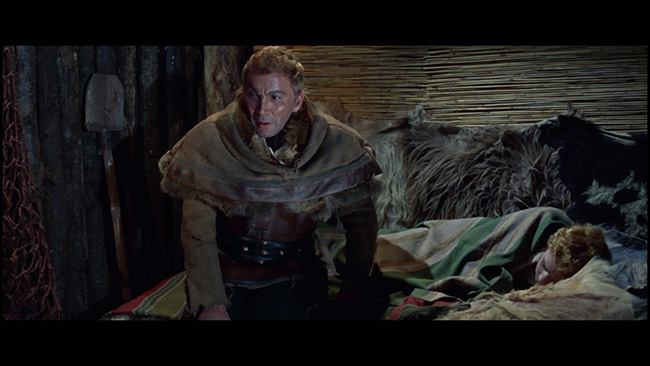 Mario Bava’s Knives Of The Avenger follows a warrior named Rurik (Cameron Mitchell, who had previously worked with Bava on Eric The Conqueror four years earlier but who remains beloved for his appearance in Raw Force!) who finds himself protecting a queen named Karin (Elissa Pichelli) and her son Moki (Luciano Pollentin) from the sinister general Hagen (Fausto Tozzi of Cry Of A Prostitute and The Valachi Papers). 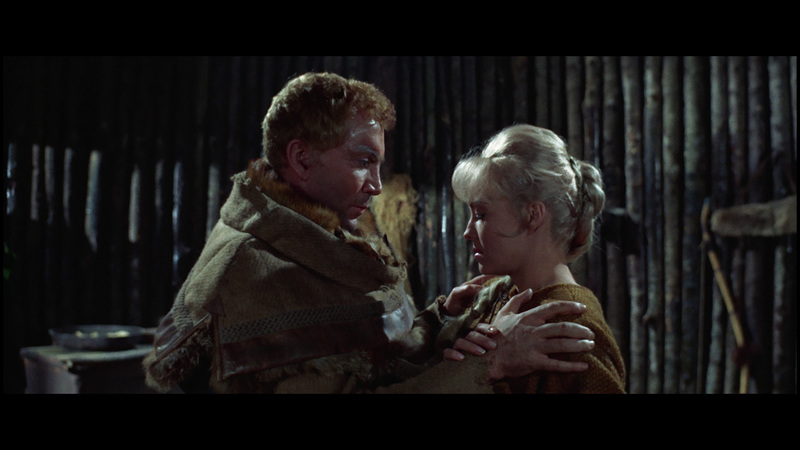 This happens while her husband, King Harald (Giacomo Rossi-Stuart of The Last Man On Earth and Bava’s 1966 gothic horror Kill, Baby… Kill!) is away at sea. What Karin and Moki don't realize is that Rurik was at one time an ally of Hagen. 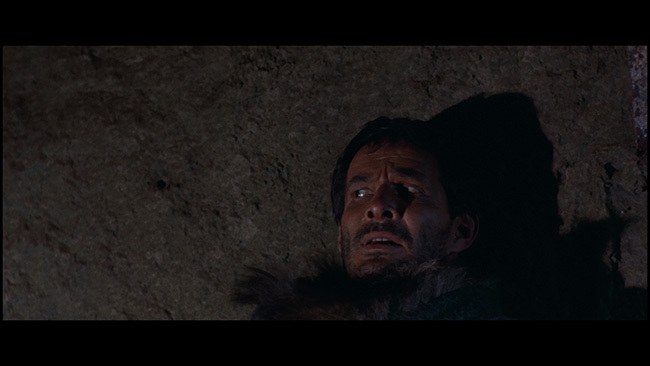 However, that was a long time ago, before Hagen killed his family. They also don't know that Rurik was at one time one of Harald's sworn enemies for reasons that he would rather forget. Definitely a lesser entry in Bava's filmography, Knives Of The Avenger is a good looking and well shot film that is ultimately hampered quite severely by what is essentially a rather dull story. The movie does have some fantastic visuals, as you’d expect, but the story isn’t paced all that well and it just isn’t all that exciting. 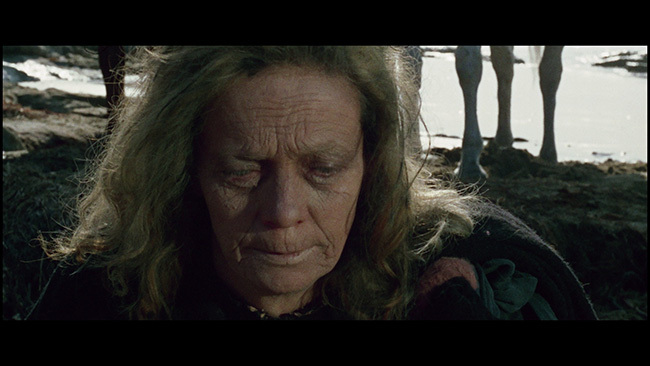 It does start off strong, with an interesting scene wherein a witch woman prays to Odin on the rocky shore of the Baltic sea, Karin and Moki nearby. This grabs our attention instantly and makes us want to know what’s going to happen next. That suspense doesn’t last, however. Another problem with the film is that Cameron Mitchell is rather uninspired in the lead role. His obviously dyed blonde hair doesn't so much make him look like a Viking as it does simply out of place. The story borrows quite heavily from George Stevens' Shane, in which Alan Ladd plays the lead in a similar story set in the American west. Placing this idea in Viking times was a noble idea, but there are just a few too many strikes against the film for it to work. 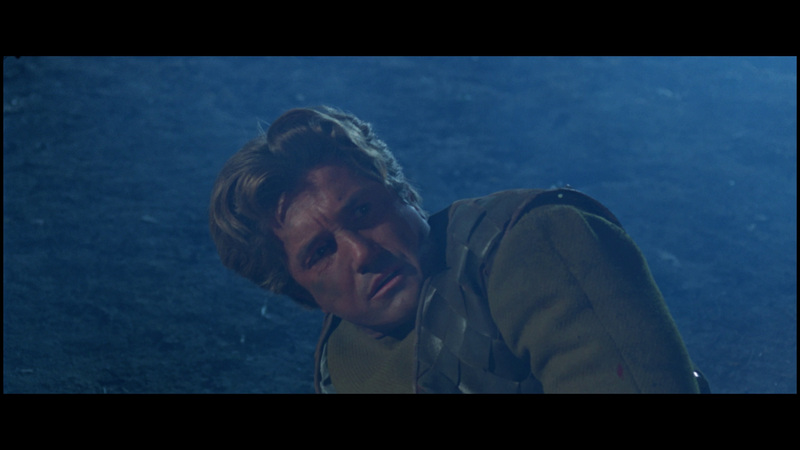 In Bava's defense, it isn't all his fault. 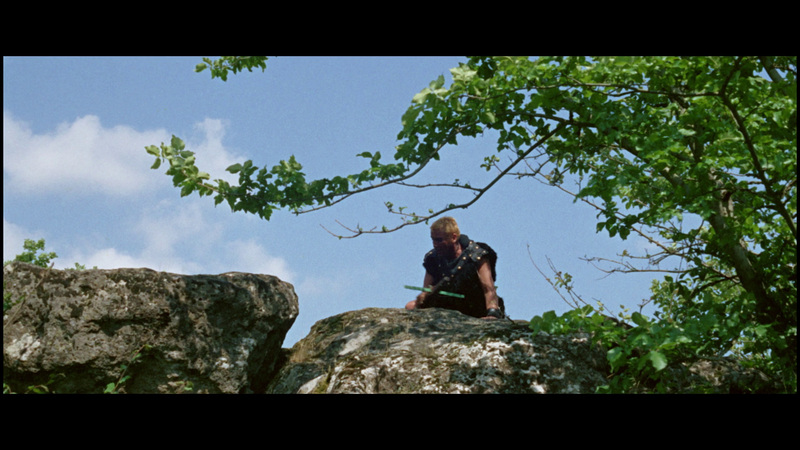 The movie was shot on a very low budget and supposedly only had a week for principal photography. 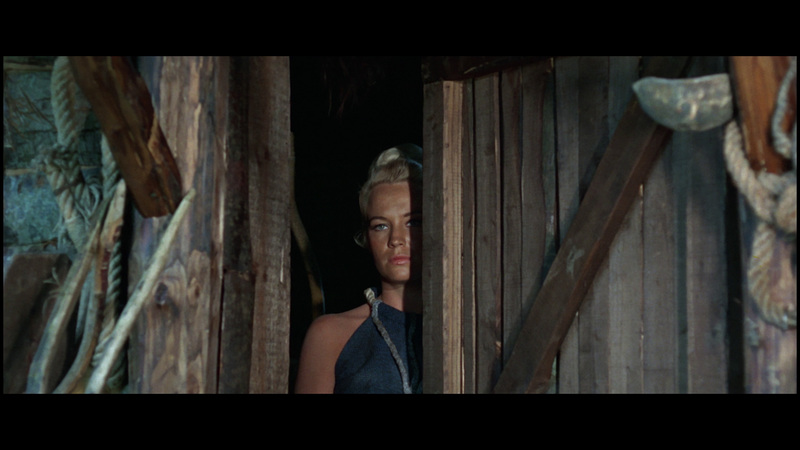 Adding to that, the story is that Bava was brought on board to replace the original director and that he had to re-shoot the vast majority of the picture. As such, the film lacks many of the details that make a lot of his other films so enjoyable and it doesn't feel like a Bava film. Rather, it feels like a work for hire project, which it probably was. Bava proved with Hercules In The Haunted World that he could make a great sword and sandal epic when he was allowed to, it's just that here we're left with a picture that is made up of clichés. 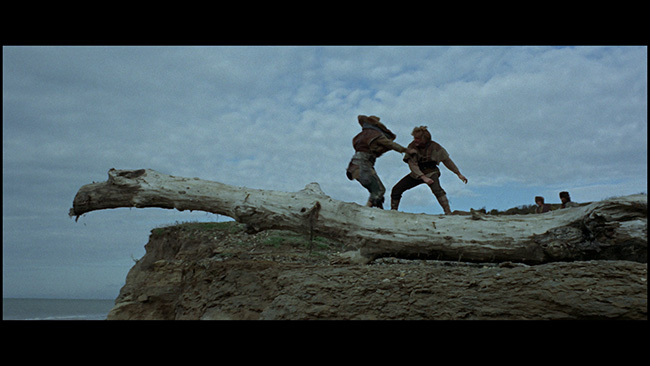 Some of the scenes in which Mitchell's Rurik gets into his knife throwing are interesting and a few of the action scenes are fun but for the most part the film suffers from bad pacing, unnecessary padding by way of too many location and beach shots, and a truly uninspired story. 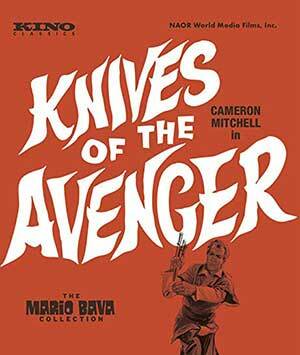 Knives Of The Avenger is framed at 1.85.1 and presented in AVC encoded 1080p high definition on a 25GB disc. There’s no source started for this transfer but it looks quite good. 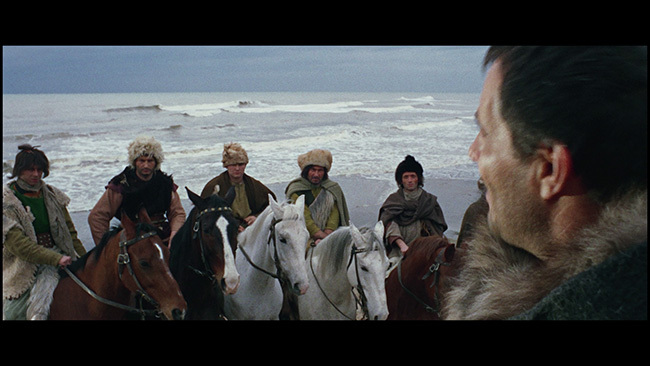 Colors are nicely reproduced here and detail advances quite handily over past DVD editions of the movie even if it isn’t reference quality, as some shots do look just a tad soft. There are no noticeable compression artifacts or edge enhancement problems to discuss, and there’s a reasonable amount of depth to the image. An LPCM Mono audio option is provided in Italian and a Dolby Digital Mono track in English. The disc includes removable subtitles available in English only. Not surprisingly, the Italian language option sounds better, being in lossless and all. Levels are well-balanced and the film’s admittedly solid score sounds solid. The English track, by comparison, sounds a bit thin but it’s serviceable enough and there for those who want it. The main extra on the disc is an audio commentary track from Tim Lucas. 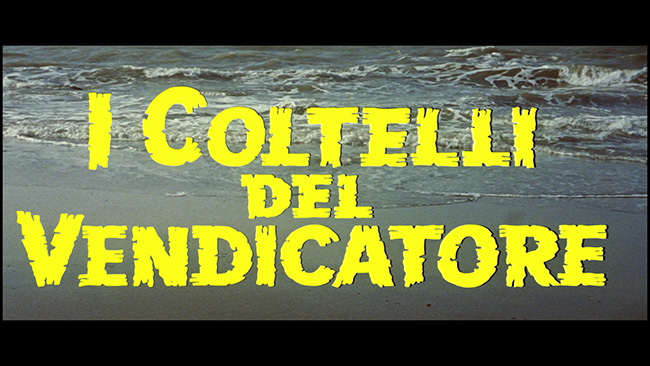 Here the author of Mario Bava: All the Colors Of The Dark discusses the film’s history in his typically hyper-detailed style. 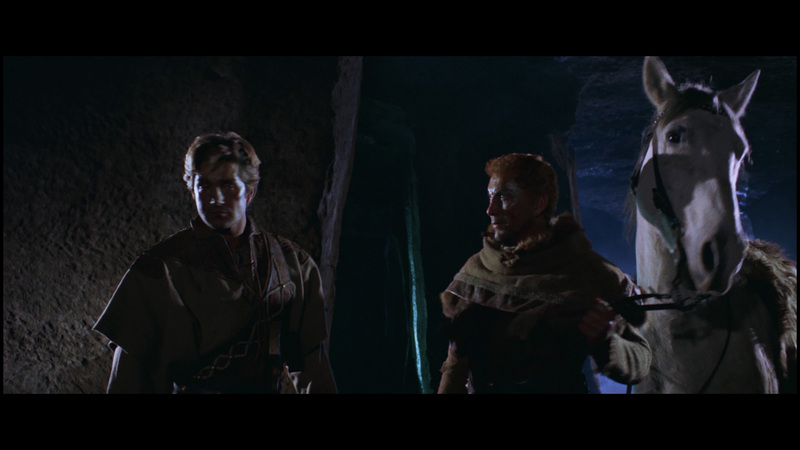 He talks about the situations under which the film was made, how Bava came to work on the picture, the locations that are used in the film, the score and cinematography and more. He also offers up plenty of information about the cast and crew and provides details on the film’s release history in North America and overseas as well as his own thoughts and opinions on the picture itself. Aside from that, we also get the alternate English language title sequence, a trailer for the feature, trailers for a few other Mario Bava properties distributed by Kino (Baron Blood, Evil Eye, Lisa And The Devil, Kill, Baby... Kill and Hatchet For The Honeymoon), menus and chapter selection. 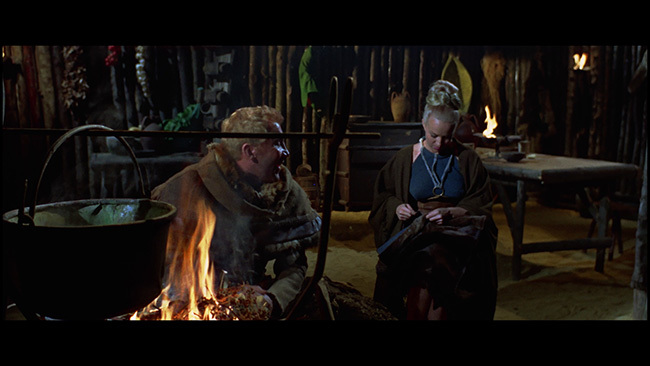 Knives Of The Avenger is definitely lesser Bava but Kino provides fans and completists alike a decent Blu-ray presentation that is highlighted by a thorough commentary as its main extra feature. Click on the images below for full sized Knives Of The Avenger Blu-ray screen caps!